Welcome to the next guest in the mySugr Spotlight series, an ever-growing lineup of people living with diabetes sharing their stories. We ask featured guests to describe their connection to diabetes and the diagnosis experience, what’s working for them/not working for them, what they want people to know about diabetes, and what their message to the world is. With that in mind, we’re thrilled to introduce Xanadu. Enjoy! I was diagnosed with type 1 diabetes when I was 12 years old. My mother took me to the doctor for my routine vaccinations, except what I learned changed my life forever: I had diabetes. My initial thoughts were actual excitement; I didn’t understand the complexities of diabetes and how much it was going to change my life, but I was excited for a change, nonetheless. For most of my childhood, my diabetes was uncontrolled because I was rebellious and didn’t want to accept the fact that I would have diabetes for my whole life. Also, my parents began to pity me and did not like to deny me the right to certain foods because they thought it was unfair to me. It wasn’t until I almost lost my life that I began to take my disease seriously. 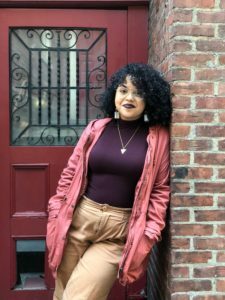 At the age of 19, I was hospitalized with a severe case of diabetic ketoacidosis (DKA). I experienced rapid weight loss, muscle atrophy, loss of appetite, and became too weak to walk — my doctor was surprised I was still conscious. After a week in the hospital, I vowed to never experience that again. It was hard to control my diabetes for a long time but after years of rollercoaster-like glucose levels, I received my first pump and continuous glucose monitor (CGM) in 2017 and it has been one of the best things to happen to me. I didn’t understand how liberating it would be to have a pump, even though it is always attached to me — I thought I would feel trapped or reminded of a disease I wanted to forget about. However, since wearing the pump, my glucose levels have been the best they’ve ever been in my entire life. 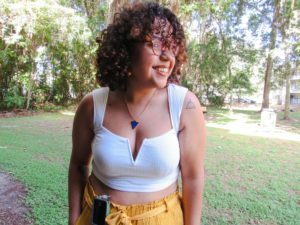 Being a part of the College Diabetes Network group at the University of Florida and creating a social media platform to discuss T1D, along with finding other people of color (POC) with diabetes, has helped me find solidarity and ease the loneliness that I felt for most of my diagnosis. I also have a great support system with my family and friends who always are there for me and try to help me in any way they can. I wouldn’t be here without them. A problem that is a constant reminder of the burdens of diabetes is how high the price of insulin is and how hard it is to obtain diabetic supplies. For years I was uninsured, and it was one of the reasons why I ended up in the emergency room at 19 years old with DKA. Since then, I have been diagnosed with DKA two more times, all because I couldn’t afford to buy insulin. It is hard to manage a disease when you are constantly busy working, studying, and (essentially) adulting. 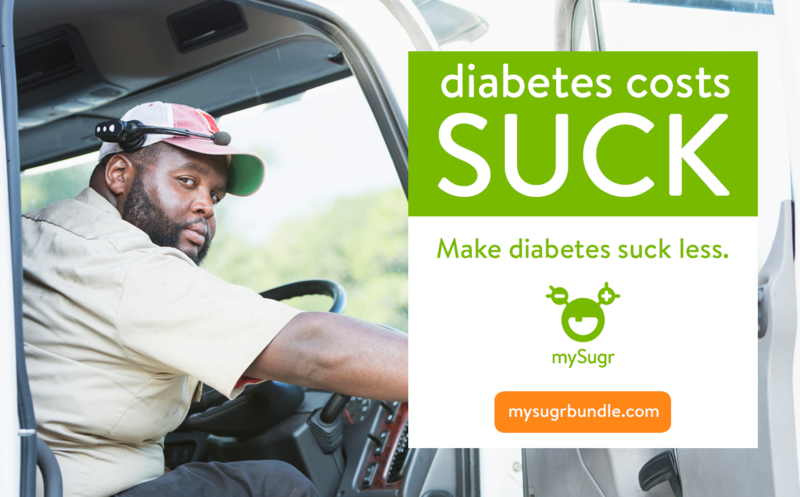 It has also been hard for me to control my glucose levels and cope with my diabetes. First, I am not a type A person, so I can get very disorganized. Secondly, I am non-confrontational, which meant I hated speaking up for myself. I’ve had to work on these weaknesses of mine because with chronic illnesses you must learn to figure things out for yourself and be your own advocate. This has been especially true for me as a Hispanic woman who comes from a low socioeconomic status. One of the most important things about diabetes that people should know is that it is not a “one size fits all” disease. Every individual body reacts differently to the various diabetic treatments and therapies available. Additionally, race, gender, socio-economic status (SES), and genetics all impact care regimes, which can be overlooked when all a doctor sees is non-compliance. Furthermore, one myth that needs to be dispelled is that “eating too much sugar will give you diabetes.” This is ignorant hearsay. Currently, I am employed as a Diabetes Peer Coach for a pilot study at UF called the Extension of Community Healthcare Outcomes (ECHO) that aims to improve access to care for underserved communities with T1D. My role is to be a social support to our study participants and guide them to resources they may not know about and also to each other. My passion project is my Instagram channel @thecurlydiabetic and my Youtube channel @thecurlydiabetic where I hope to empower others to own their diabetes diagnosis and know they aren’t alone. I specifically want to target underprivileged people with type one diabetes because I know the struggles of not being able to afford insulin, not having health insurance and truly feeling like a prisoner in my own body. Furthermore, I want to empower minorities to take control of their health because are often glanced over/ignored. We may be from different cultures with varying belief systems and eating habits that affect our health—but we aren’t alone. We are one.